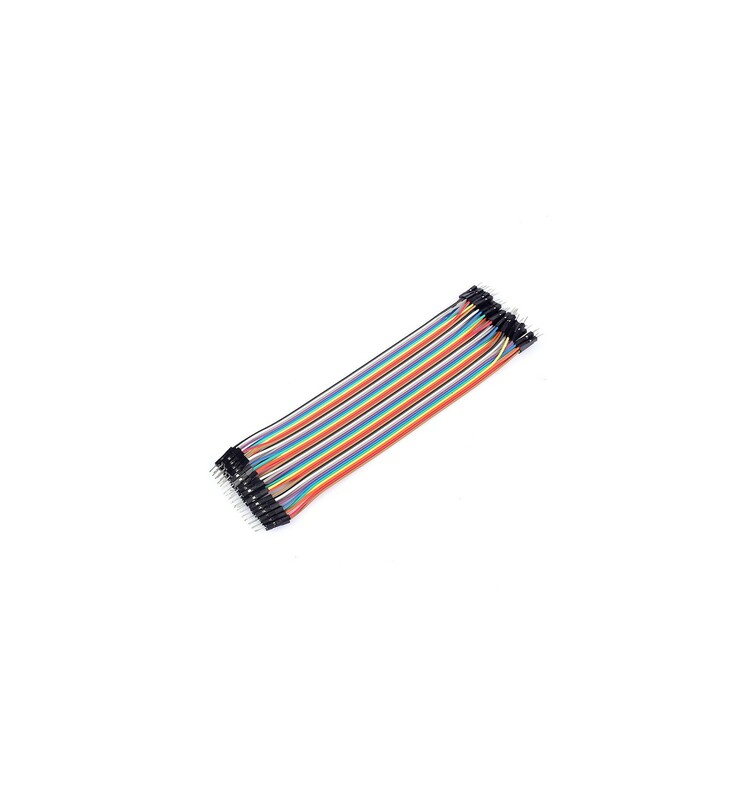 This set of 20cm Male to Male Breadboard Jumpers comes in a ribbon strip of 40 – Designed for temporary breadboard prototyping connections without solder. Male to male breadboard jumpers are small wires designed to conveniently fit breadboard ports and female sockets without the need for soldering. They are ideally used within Prototyping and design phases, although they can also be used as simple connectors for those who prefer to utilize breadboards and Jumper Wires within typical projects. 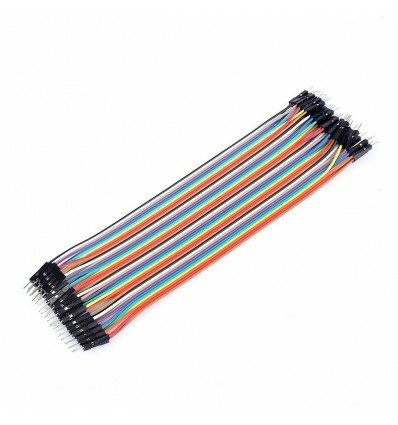 These male to male breadboard jumpers come in a set of 40, connected in SIL format, and are each 20cm long. They also have coloured colours which range from brown to black, allowing for easy identification within a circuit. Breadboard jumpers are typically used within the design and prototyping phases, due to the fact that they don’t need to be soldered on or permanently affixed, and are most often used in conjunction with breadboards. However, they can also be used within any type of project requiring connector wires or jumpers between Electronics Components, although they are a more expensive alternative to simple wires and solder. Because these jumpers come adhered together in a ribbon strip, you can also choose to use them as such, rather than pulling them apart. This can make a design a lot neater if you need, for example, 10 jumpers to run from a microcontroller board to a breadboard, and the colours can also help with connection orientation within designs as well.